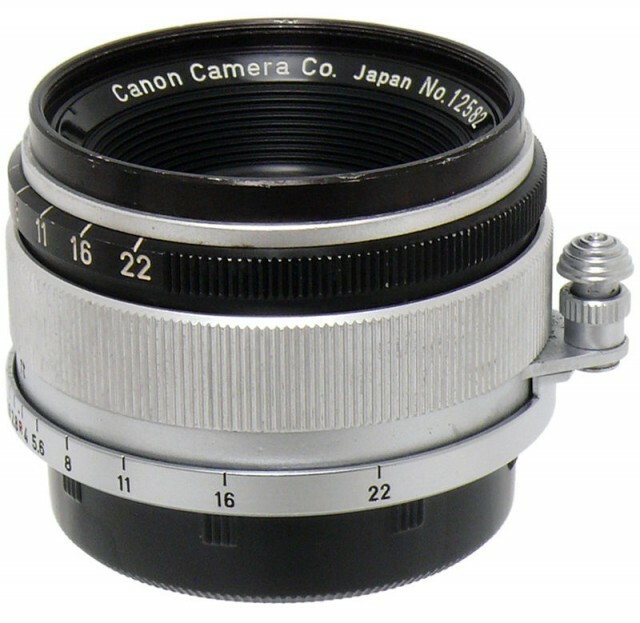 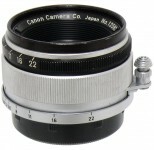 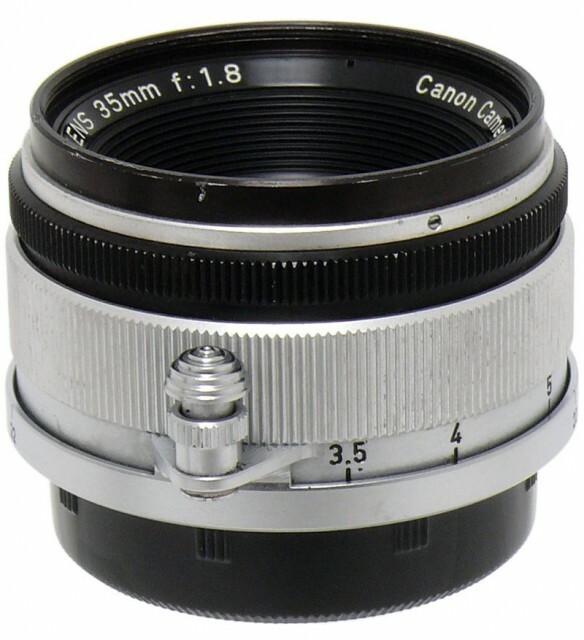 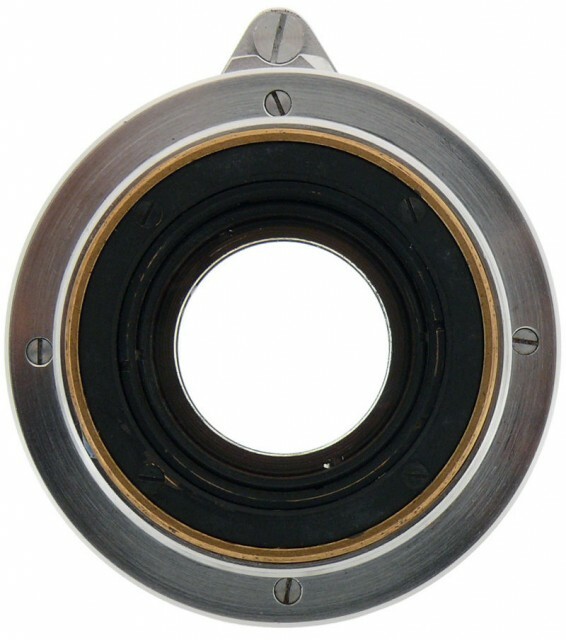 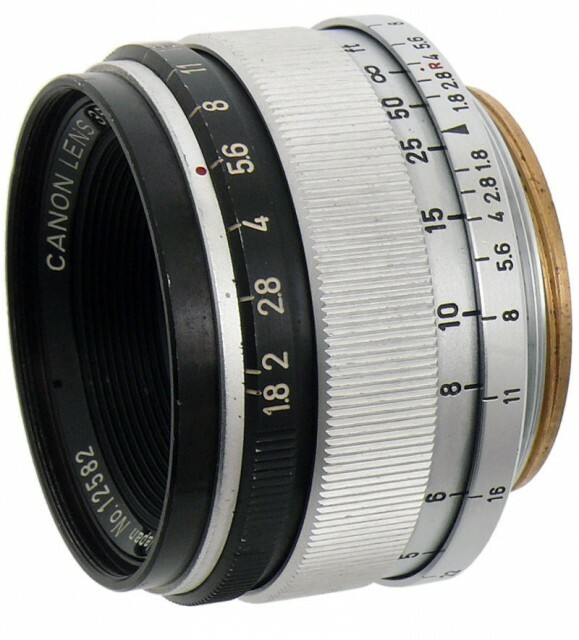 This seven element lens was the fastest wide-angle lens commercially available at the time. 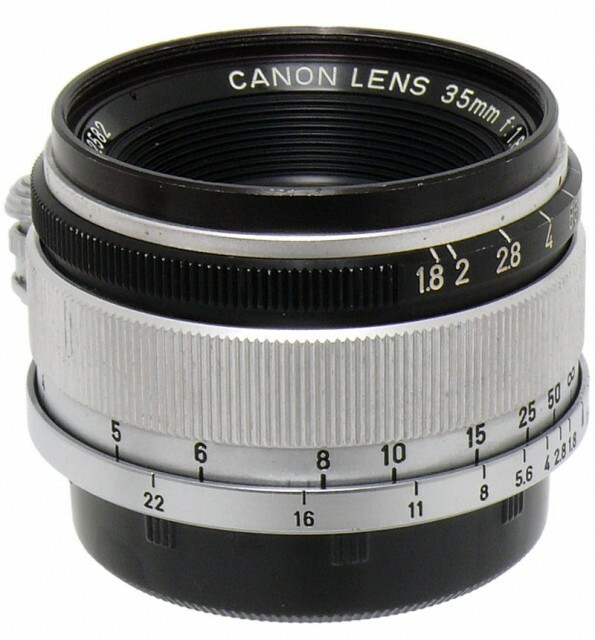 Until Canon provided that it was not possible to produce such a lens it was not considered possible. The entire field of 64 degrees is both clean and sharp to an amazing degree. 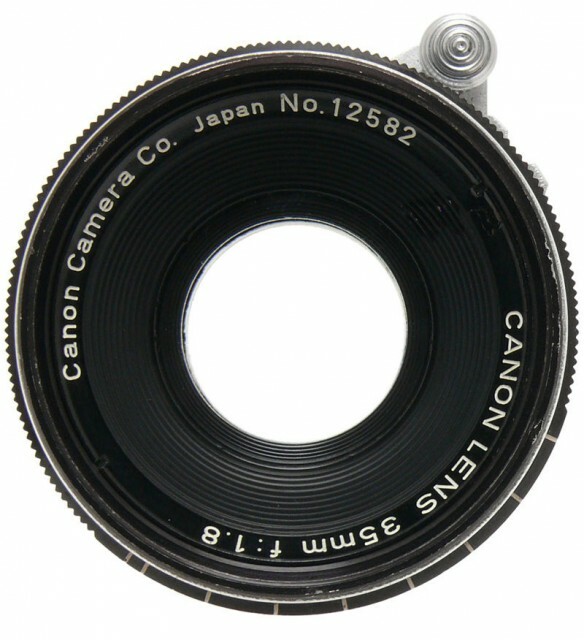 Canon's newly devised Spectra-coating made this lens the color photographers' ideal. 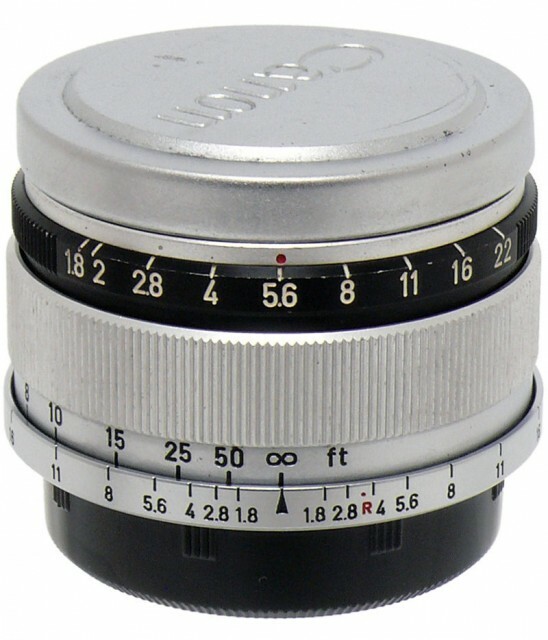 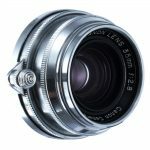 Several new types of rare glass was employed in the construction of the lens elements so that this unit compares more than favorably with much slower wide-angle lenses in curvature of field, definition and all the other inherent defects that confront the deigner of the wide-angle lenses. 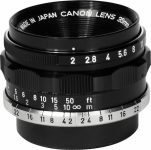 The magnificent results produced by this lens makes it ideal for indoor work as well as photographs taken out of doors of fast moving subjects.